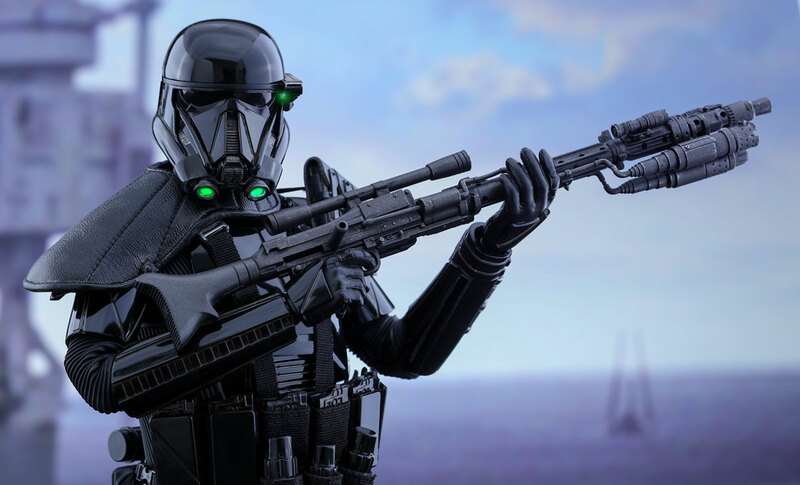 Star Wars fans around the globe will finally behold the epic new journey in the highly anticipate film, Rogue One: A Star Wars Story, which features a group of Rebel heroes on a dangerous mission to steal the plans of the Empire's ultimate weapon of destruction – the Death Star. 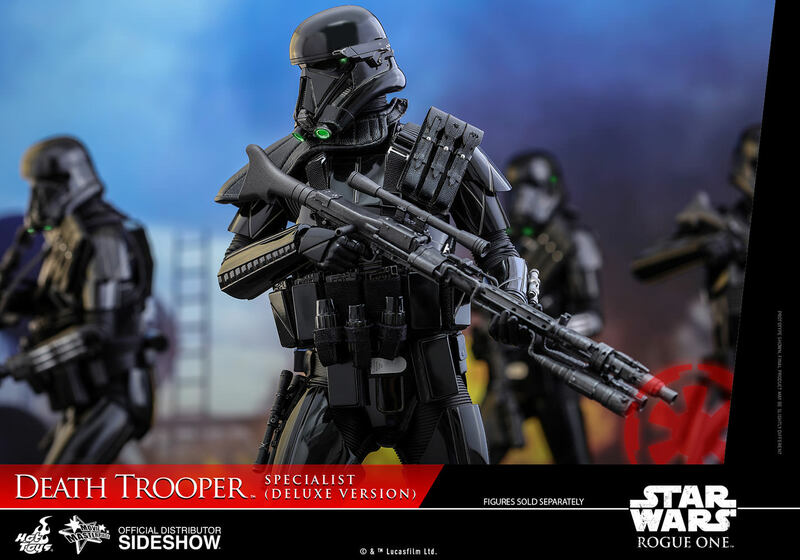 Sideshow and Hot Toys are delighted to present a special Deluxe Version of the sixth scale Death Trooper Specialist collectible figure from the exciting new adventure! 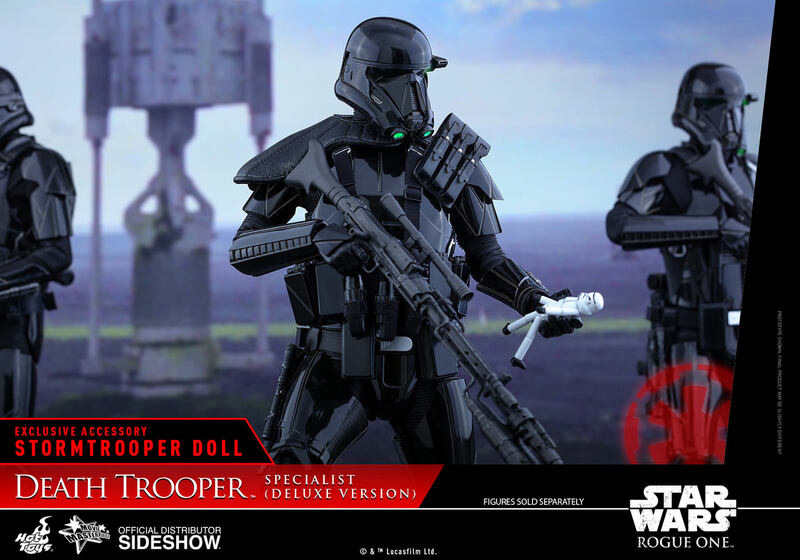 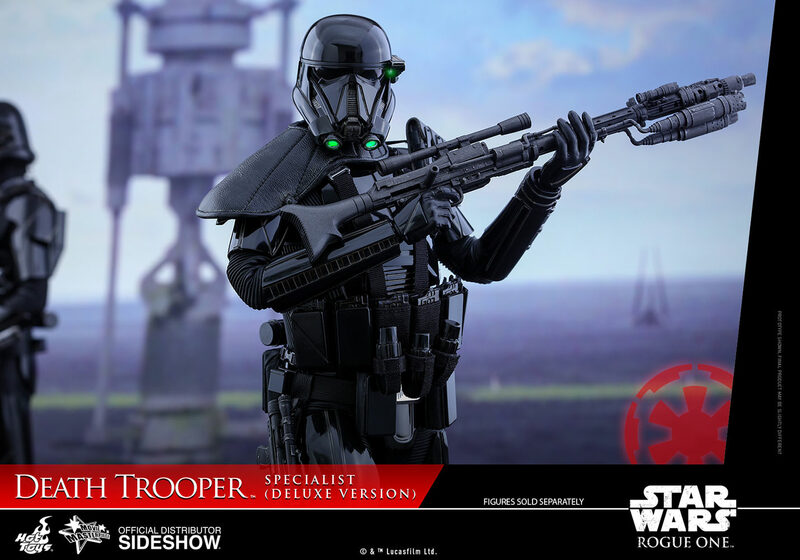 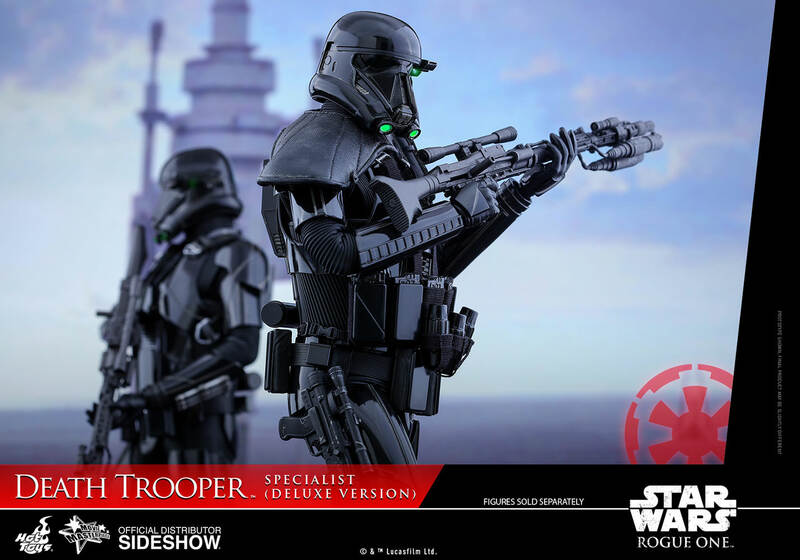 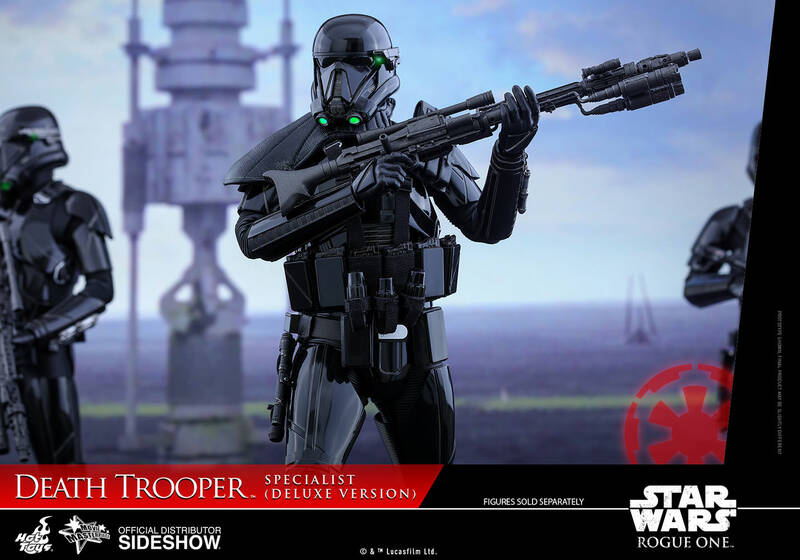 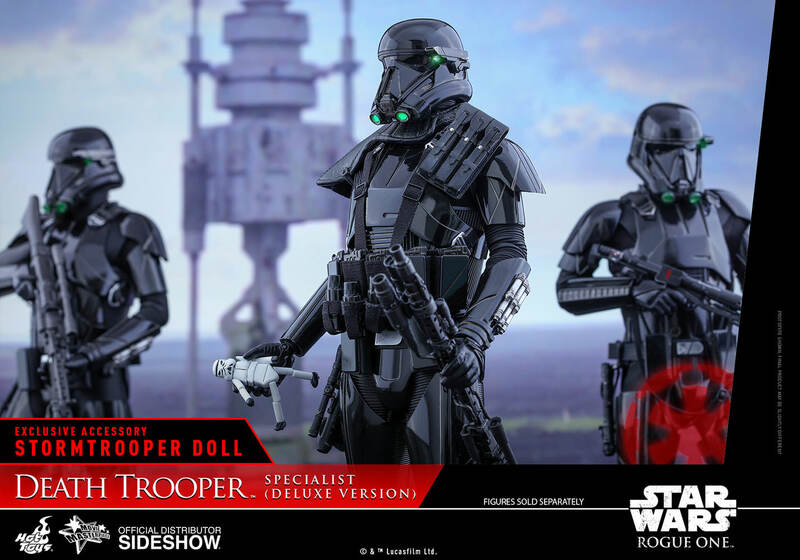 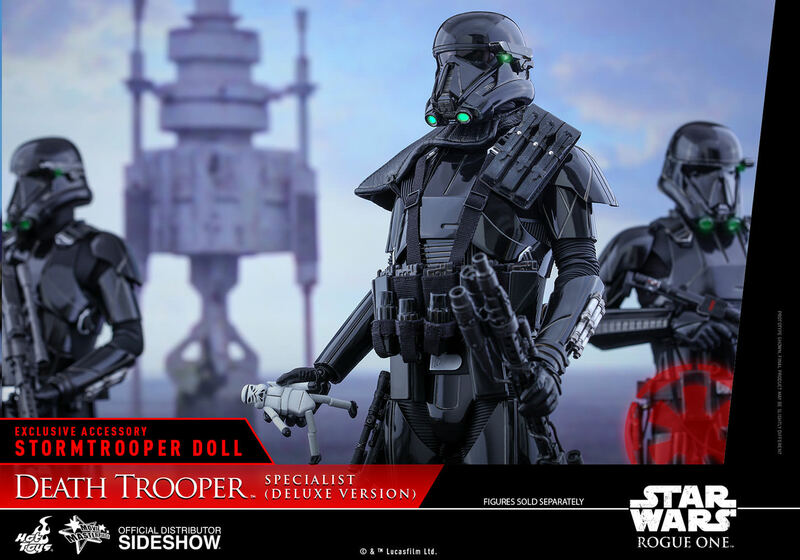 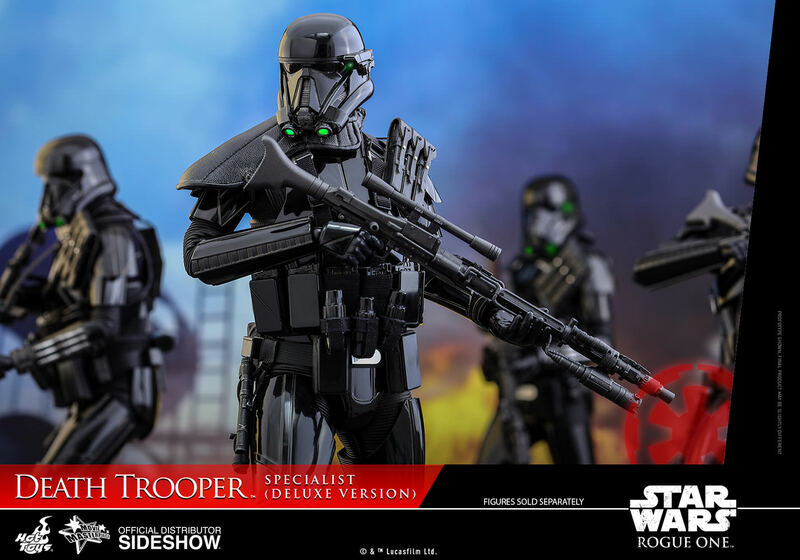 The highly accurate collectible figure is specially crafted based on the appearance of the Imperial Death Trooper Specialist in Rogue One: A Star Wars Story. 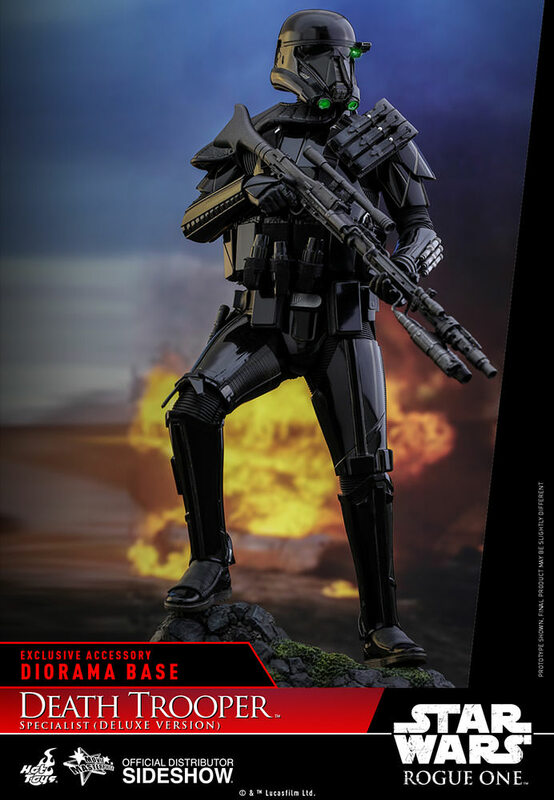 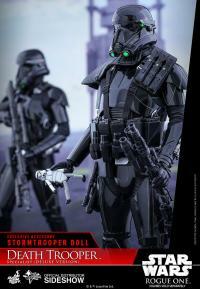 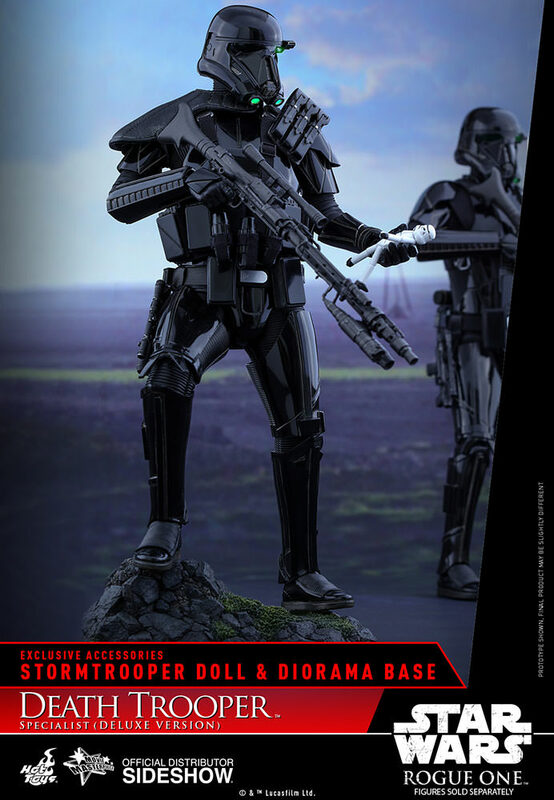 The figure stands approximately 32.5cm tall with the finely crafted sleek black armor, new helmet with scope and LED light-up functions, a black pauldron and chest rig, detailed weapons including a long range blaster rifle (Special Forces DLT-19) and pistol. 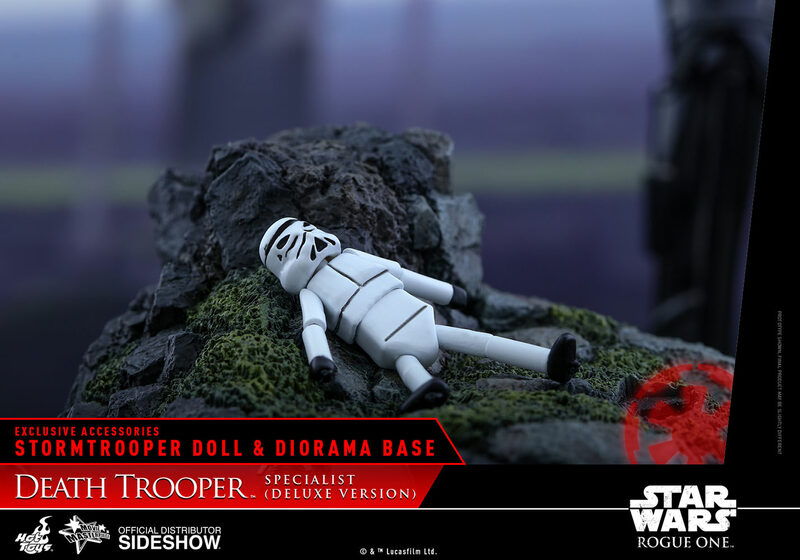 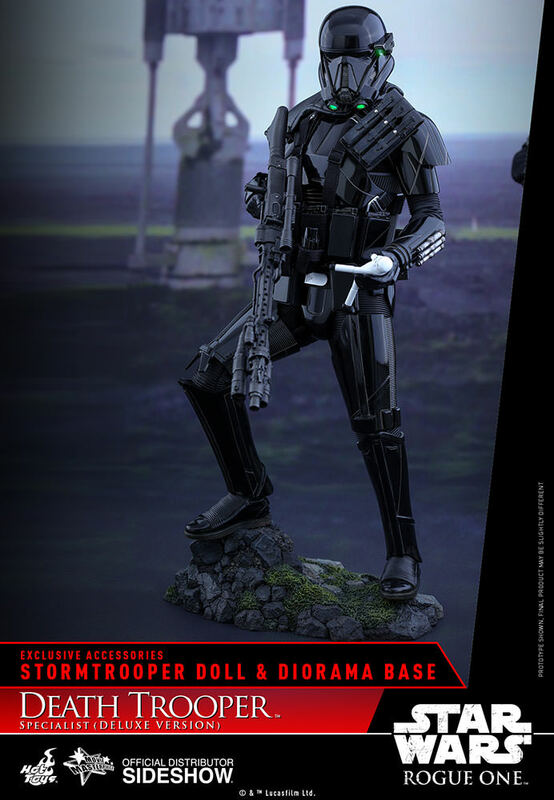 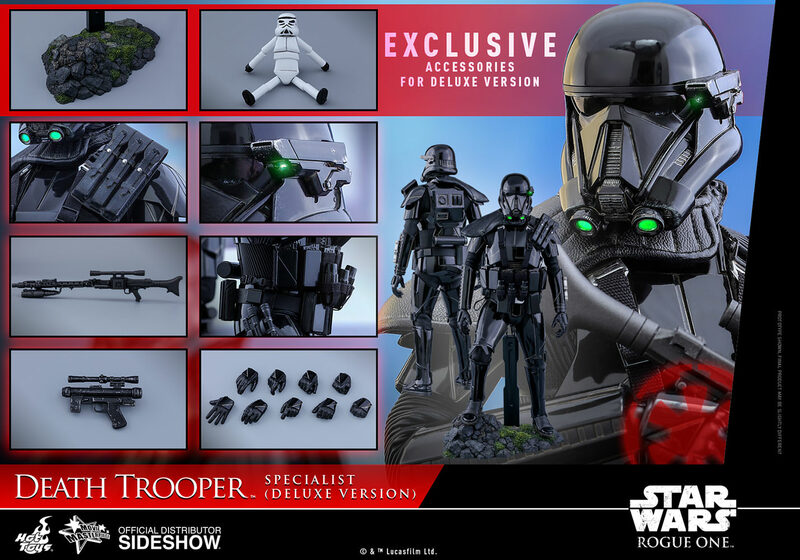 The Deluxe version also includes a special Stormtrooper doll accessory and a specially sculpted diorama figure base! 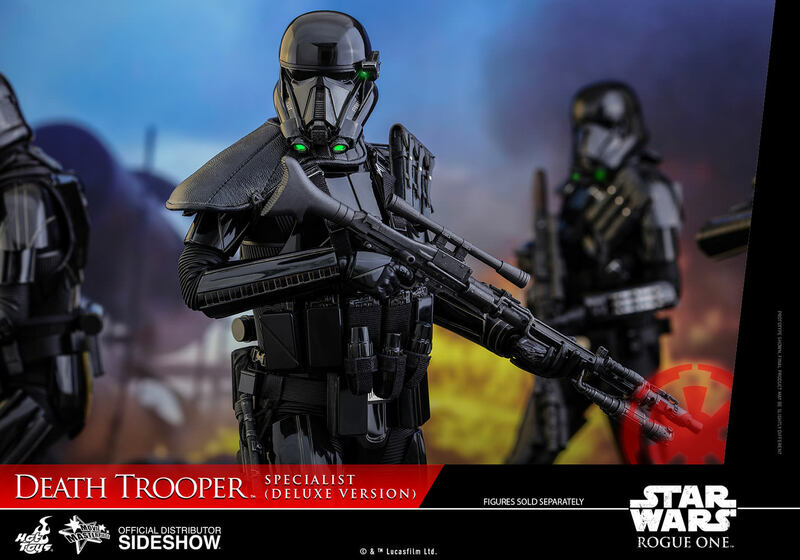 Build up your Rogue One: A Star Wars Story collection by completing your own Death Trooper squad!